Internet Protocol (IP) networks have, for a number of years, provided the basis for modern communication channels. However, the control and management of these networks needs to be extended so that the required Quality of Service can be achieved. Information about new generations of IP networks is given, covering the future of pervasive networks (that is, networks that arealways present), Wi-Fi, the control of mobility and improved Quality of Service, sensor networks, inter-vehicle communication and optical networks. Guy Pujolle is currently a Professor at the University of Paris VI and member of the Scientific Council of France Telecom Group. 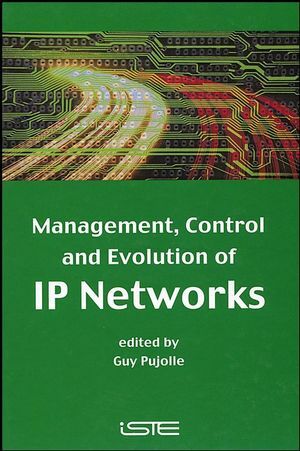 He is chairman of the IFIP Working Group 6.2 on "Network and Internetwork Architectures". A pioneer in high-speed networking, he led the development of the first Gbit/s network to be tested in 1980.